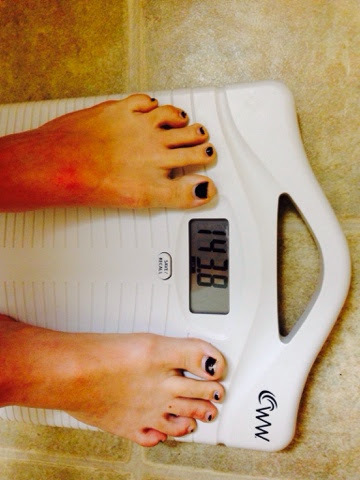 This morning I weighed in and honestly I wasn't really surprised or disappointed. At this point, I'm not really trying to lose a lot more weight. My BMI wants me to be exactly at 139 to be healthy for my age and height. This is close enough. I'm comfortable in my own skin. 143.8 is just fine. Yesterday, I went to this mental health training the entire day and I think I just needed it. I needed it to rejuvenate my soul. Somedays you can get so lost in the mental health field. When I say lost, I mean jaded, frustrated, burned out and feel under appreciated. The two ladies who did the training made us feel valued, appreciated and continued to made me aware that I am at the front lines of mental health as a responder to crisis situations. As I was thinking of that, I was thinking of my physical, emotional and social health this year. I realize I'm burning the candle on so many ends, but I recognize this winter has been really hard because I haven't been able to run outside like I usually do. In January I was determined to get out in their and I kept getting sick. I'm reminded to be good at anything we need to take care of our whole person! That includes physical, emotional, spiritual and social. My Challenge or question: How do you take care of your whole person? Great question. Not sure right now I have the answer. What I want and what I have are two very different things right now. Wow, not sure how to answer this questsion Sarah. Taking care of all aspects of your well being can be difficult, epecially the emotional part.